You can take 20% off your purchase of $100.00 or more in Sears. Please print this coupon through the above link, and use it before Jun 30, 2016. There's a limit of one coupon per qualifying purchase. The coupon is valid on family fashions, footwear, jewellery, accessories and luggage, bed and bath fashions, home decor, housewares and small appliances that are regular, sale or clearance-priced. There are some exclusions, as the coupon is not valid online and is not applicable with cosmetics and fragrances, items with prices ending in .97, Carter's, OshKosh B'gosh, Penningtons and Dyson brands. You will earn 5x Aeroplan Miles on all eStore purchases until May 3, 2016. Normally you will get one Aeroplan for every one dollar spent. So, during the promotion period, you will get 5 Aeroplan miles with one dollar spent, which is not a bad deal. 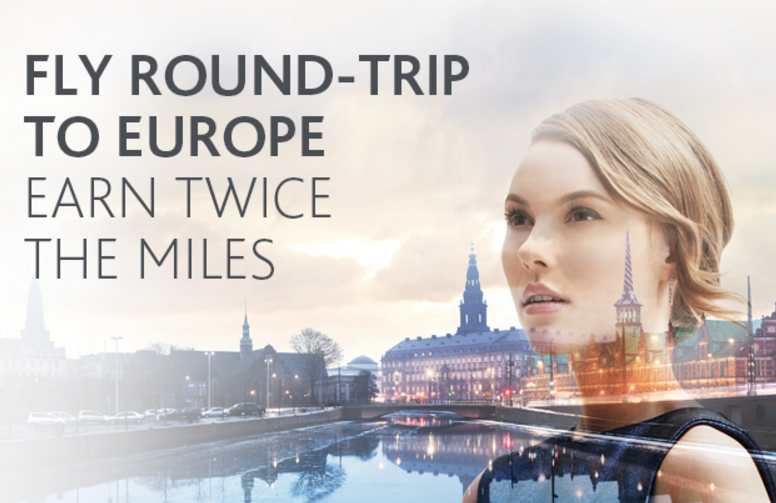 Until May 25, 2016, you can earn double Aeroplan Miles for every round-trip (or 2 one-way segments) on all flights between Canada and Europe. Online registration is required. You need to register and book between April 26, 2016 and May 25, 2016, and travel between April 26, 2016 and June 30, 2016. The La Capitale's Stow & Grow Account is a high-interest savings account (current rate 0.8%). For a limited time, you can have up to $50 deposited directly into your account when you open your first La Capitale Stow & Grow Account. La Capitale is quite big in Quebec. They offer insurance product and also mortgage. You can get 100% more points when you buy HHonors points before Jun 3, 2016. This is the best points deal from HHonors. I will definitely buy some points this time as a HHonors Diamond Elite member. Note: GST/HST will be charged to Canadian residents. Points purchased using this option will post within 24 hours. Members may purchase a maximum of 80,000 points per calendar year. All purchases are non-refundable. 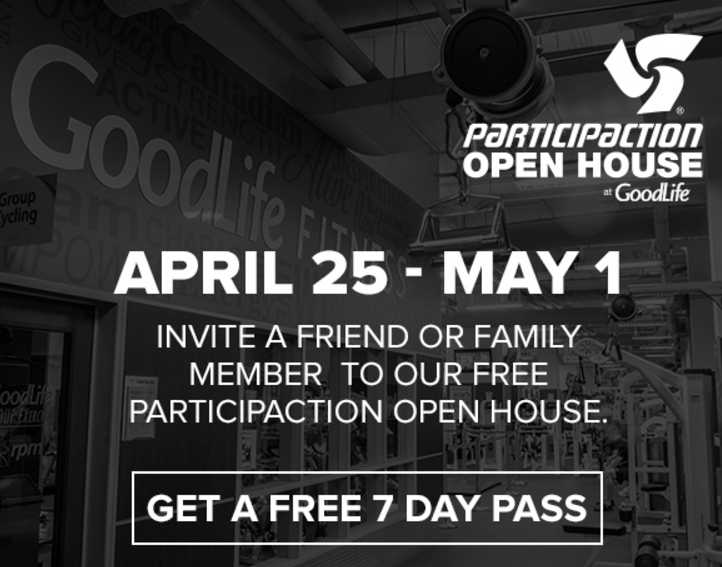 From April 25 to May 1, GoodLife will open its doors to offer Canadians seven consecutive days of free access to its clubs. 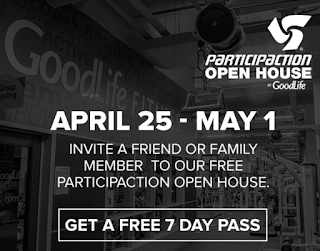 You can invite your friends or family members to try Goodlife with free of charges. 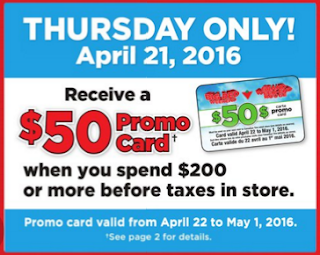 You can receive a $50 promo card when you spend $200 or more before taxes in the Canadian Tire stores. Note: The promo card is only valid from Apr 22 to May 1, 2016. You can earn Triple Aeroplan Miles when you fly round trip (or 2 one-way segments) on a Latitude fare or above within Canada or between Canada and the U.S. Online registration is required. You need to book the flights between April 15, 2016 and May 15, 2016 2, and travel between April 15, 2016 and June 15, 2016. You can earn 10 bonus WestJet dollars when you travel on an eligible flight from (or through) Toronto or Halifax to Boston. Fly four times on eligible one-way flights and earn an additional bonus of 40 WestJet dollars for a total of 80 bonus WestJet dollars. Eligible routes: Fly between Boston and Toronto or Halifax. Note: online registration is needed for this offer. IHG Share Forever Promotion has returned for this summer. Please check your registered email to find the offer. Offers vary by member and online registration is required. 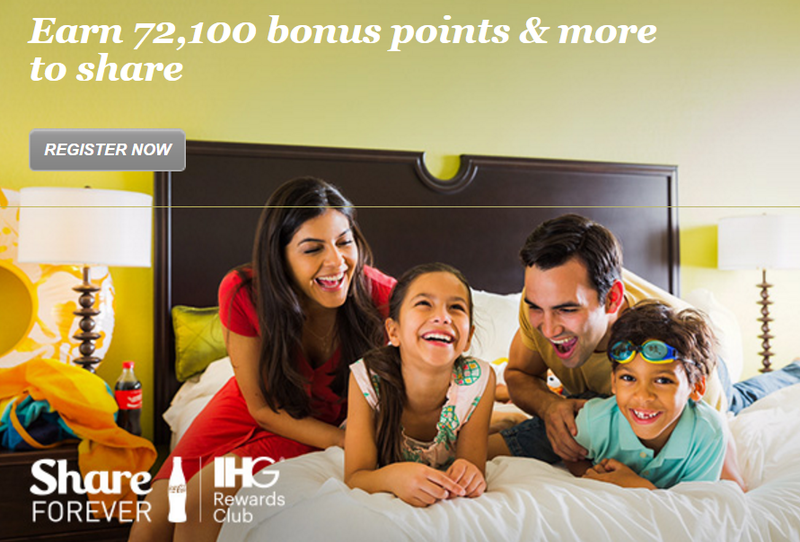 We received the 72,100 Bonus Points offer along with 1,000 points (first night) + 1 Free Night (15 nights) to share. I need to complete totally 25 nights to get the full bonus points. Have you got a better offer than mine? You could get $100 in Sony Points (10,000 Sony Points) when you applied the MBNA SonyCard MasterCard. The MasterCard is $0 annual fee. You can also earn double Sony Points on eligible purchases of Sony products at sony.ca (2% return). Then, you can redeem Sony Points toward any Sony product online at sony.ca. The normal welcome bonus is only 2000 Sony Points. So, this is a good chance for those people who love Sony products. 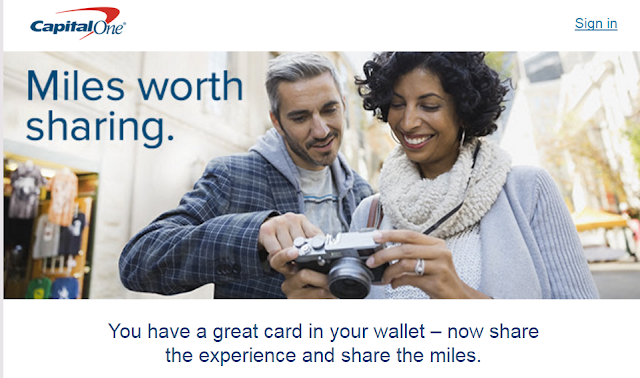 Love your Capital One® card? Tell your friends and family members about our Aspire Travel™ cards and get 5,000 reward miles for each person who applies, up to a maximum of 25,000 miles – that’s $250 in travel! Plus, the person you refer will also get 5,000 miles once their account is opened. 1. Share this email and your Referral ID with friends and family. 3. Earn 5,000 reward miles for their application. 4. They’ll get 5,000 miles once their account is opened. Your Referral ID expires on May 19, 2016. So, if you want to apply Capital One Aspire Travel WEMC or Aspire Travel Platinum MC, you can ask us for a referral ID. Please send us an email: canadianrewards@gmail.com , thanks. You can earn 3.00% interest on up to $500,000 in new deposits to your Tangerine Savings Account(s) from April 5 to June 30, 2016. Note: To receive the Offer, Tangerine Clients must have received the Offer by email directly from the Bank, and/or received a notification that they are eligible to participate in the Offer when they log in on the Bank’s website. Clients must also be the Primary Account Holder on the Applicable Account. Based on my experience, you can see your offer when you log in your online account. Mine is 2.64%. Someone got 1.81%. I have no idea how they come up with this number. From March 29 to May 23, 2016, make sure to stop by Esso stations often for a chance to win 15,000 miles! That’s one prize per hour, every day, until May 23rd. Remember to swipe your Aeroplan Membership Card when you make an eligible purchase at Esso stations and you’ll be automatically entered into the draw. When you successfully apply for the RBC British Airways Visa Infinite card, you could earn up to 50,000 bonus Avios. Not only will you collect a 15,000 Avios welcome bonus when you're accepted, but apply before 31 May 2016 and you'll pick up another 35,000 Avios, if you spend $9,000 CAD in your first three months. On top of that, you'll get one Avios for every $1 CAD you spend on everyday purchases and earn even more when you purchase British Airways flights and holidays, or book with Avis. 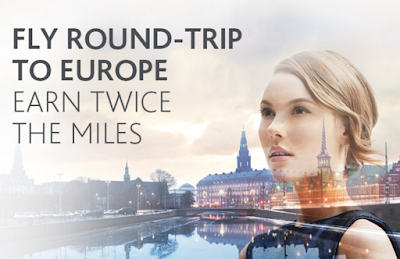 Plus, pay for your flight on the card and you'll save 10% off the cost. And the rewards don't stop there — you can also look forward to a Companion Voucher, when you spend $30,000 CAD annually. If you apply and are approved for CIBC Aerogold Visa Infinite Privilege card between April 1, 2016 and June 30, 2016, you will receive a welcome bonus of 25,000 Aeroplan Miles when you make your first purchase at any time with your eligible card. 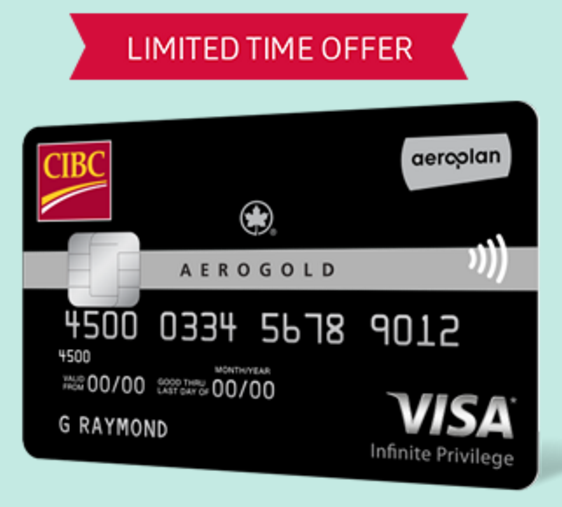 Plus, you will receive an additional bonus of 25,000 Aeroplan Miles if you have at least $1,000 in qualifying purchases posted to your eligible card account during your first three consecutive monthly statement periods. Daily Getaways are returning tomorrow. Sponsored by the US Travel Association (USTA), Daily Getaways provide special discounts and deals from a variety of travel brands and loyalty programs—including hotel packages, points/miles purchase promos, and rental car deals. 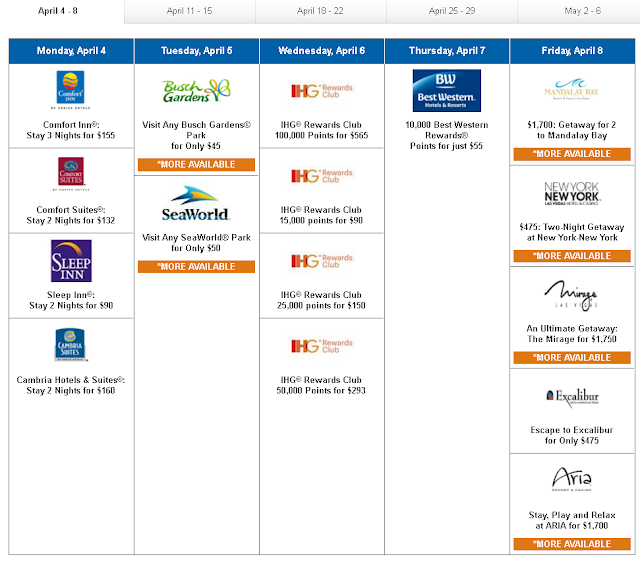 This year, the promotions are from Apr 4 to May 6. Please go to their website for more details. Now through June 30, 2016, you can earn 5,000 Hyatt Gold Passport bonus points after your first five eligible nights and thousands more for every additional five nights, up to 25 nights. Earn up to 75,000 bonus points during the Stay More Play More promotion. Registration is required. Entire monthly fee is waived if you maintain a minimum end of day balance of $3,000 each day and a recurring direct deposit or 2 pre-authorized payments each month in this account. Note: The Cash Reward is subject to the condition (the “Reward Condition”) that the Eligible Client’s Chequing Account must remain open, active and unconverted for at least one (1) calendar year from the month-end of the month during which the Account was opened. Failing this, such Eligible Client (a “Disqualified Reward Client”) will not qualify for the Cash Reward. If the Cash Reward has already been provided to a Disqualified Reward Client, CIBC reserves the right, in its sole and absolute discretion, to charge the client’s Chequing Account for, or send an invoice to the Disqualified Reward Client for, $300 CAD.